Jon Cullen began his musical career aged 11 as a chorister at West Ham Parish Church in 1965. His musical ability was quickly recognised and the church awarded him a bursary for music lessons. By 1977, he was already church organist at St Matthias, Canning Town and had founded the Newham Bach Society. In 1983 he returned to West Ham Parish Church as musical director. 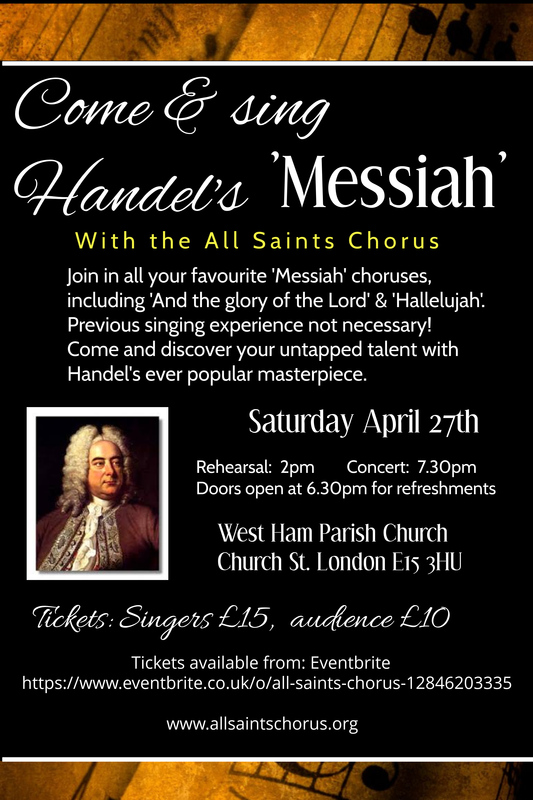 Since then Jon has conducted the All Saints Chorus in all of Bach’s large-scale choral works, the Mozart, Verdi, Brahms and Fauré Requiems, Handel’s Messiah and many other major works. He has also performed as organist and chamber music accompanist in a wide variety of music from the Renaissance to the present day. Jon has composed a number of major works: The Annunciation, Requiem for the Millennium, Stabat Mater and Fire on the Green, the premier of all of these having been performed by the All Saints Chorus. In October 2017 the Chorus performed his most recent composition – The Accidental Martyrs. When in 1994 Jon formed the All Saints Chorus, it was in the belief that everyone deserved the chance to succeed musically, regardless of experience. He teaches with encouragement, a great sense of humour and simply by letting people sing.